Two spas allegedly offering ‘extra service’ to its customers were raided by police in Las Piñas City on Sunday midnight. Fourteen individuals—seven male massage therapists, five female massage therapists, one manager, and one receptionist — were arrested in two police operations led by the elements of Las Piñas City Police. Colonel Simnar Gran, Las Piñas City Police chief, said the operations stemmed from an informant’s tip about the establishments engaging in prostitution in the city. Massage therapists from the two spas have been allegedly offering sexual services to its clients in exchange of much higher fees, Gran said. Police initially raided “Forever Young Spa” located along Alabang-Zapote Road, Barangay Pamplona Tres at around 11:30 p.m. on Saturday. During the operation, three female therapists who police identified as Yolanda Espartero, Mary Jane Nupia, and Claudine Guiriba were arrested. Meanwhile, 11 more individuals were apprehended at “Lotus Spa” where operatives carried out another raid at around 1:15 a.m. on Sunday. The spa is located along Alabang-Zapote Road, Barangay Talon Uno. 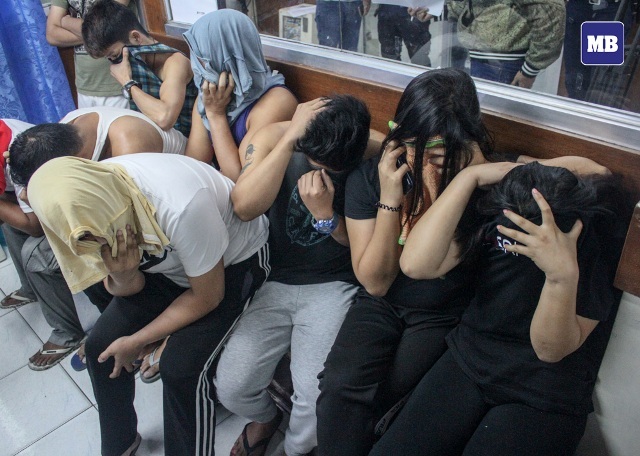 Authorities identified those arrested as Davis Awingan, Michael Agbayani, Richmond Dinglasan, Bonifacio Daquila, Jake Grande, Elbert Borembao, Charlie Yee, Steven Kevin Gomez, Kimberly Garcia, Princess Lingat, and Evelyn Bernardo. However, the owner of the spa who police identified as Juanito Alpon managed to evade arrest. A follow-up operation for his arrest is therefore ongoing. No health certificates were issued to the employees of both establishments, according to police. They are now detained at the Las Piñas City police station and will be facing charges with violation of Article 202 of the Revised Penal Code. Want to get real time traffic updates from the MMDA? Read how here.